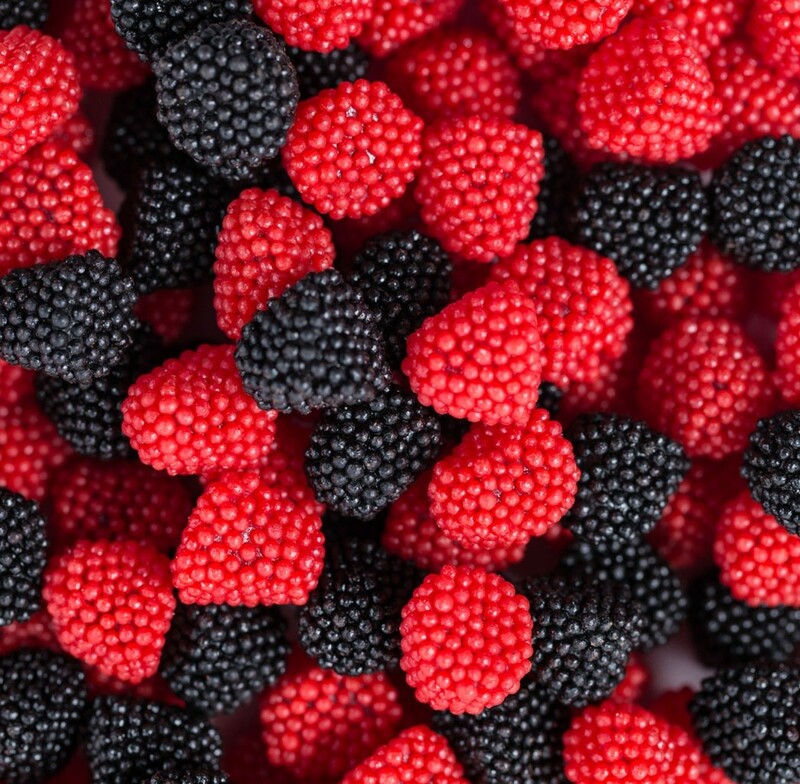 Red and Black Raspberries are the little gummies that are packed with fruit flavor. 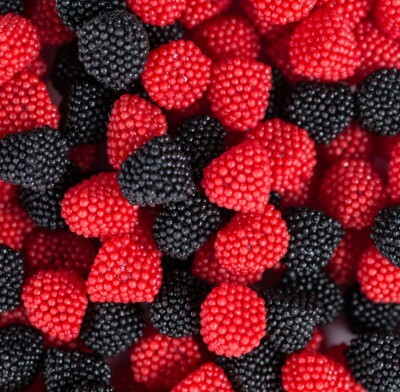 Take a bite of fruit no matter where you are with red and black gummy raspberries. Packed in a 1 lb bag.